We recently saw that students at the University of Strathclyde had led a successful liberation of their university and won some of their demands in support of the people of Gaza and in condemnation of Israeli atrocities. 1) University of Manchester should issue a formal statement condemning Israel’s actions in the Gaza Strip, acknowledging particularly the effect on educational institutions such as the bombing of the Gaza Islamic University and expressing concern about war crimes allegations. 3) All furniture & surplus supplies from building that are being renovated to be sent to Gaza on the Viva Palestina convey …. 6) University to publicise DEC advert in any way possible (including banner on the website) and put pressure on the BBC and sky to show the DEC advert. Now, two days later, the students are reporting that five of them have been forcefully removed by university security, and a large number of police have been called to the scene. While the university recognized their right to protest, this past Wednesday, today (Friday) the Vice Chancellor tried to intimidate students into dropping their protest without meeting their demands. In the meantime, more and more students gather outside the building to join a growing demonstration. While Manchester may have a reputation to defend, it is not the students who are jeopardizing it. The administration is well advised to monitor itself critically, just as we monitor it critically from different parts of the world. Few persons want to enroll in a university where the administration treats them as transient, voiceless sacks of cash. Students across the UK have mobilized in what are now almost two dozen university liberations, in protest against Israel, in solidarity with the people of Gaza, and seeking their universities’ divestment from companies doing business in Israel while doing more to support the victims of Israel’s war. These students have been tremendously courageous, as well as creative and inspiring. 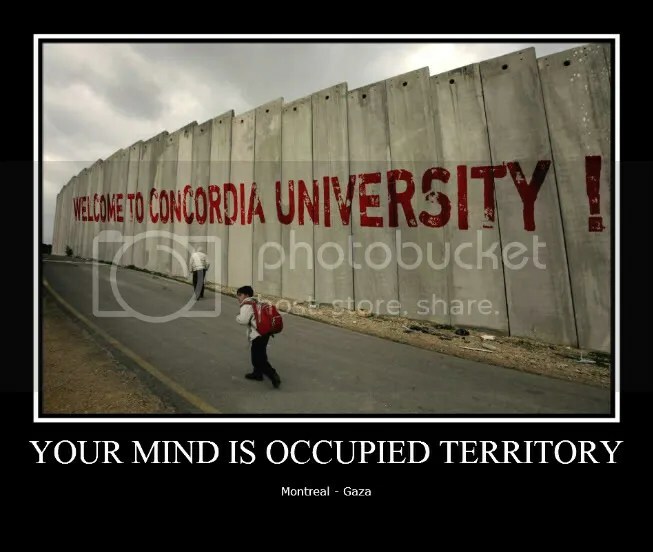 By publicly opposing the academic boycott of Israeli universities and remaining silent about the physical destruction of a Palestinian one, President Runte has taken an explicitly political position on behalf of Carleton University. Quite right, Ben Saifer, and congratulations for noticing what it seems not too many other people are able to detect in the contrasting discourses about rights. What Runte has done at your university, like others have done at mine, is not promote academic freedom, but rather interfere against it by trying to impose a unitary position on all of us.